The largest and most affordable Online Maintenance Spray for Bike Locks Shop! Maintenance Spray for Bike Locks shop the largest and most affordable! Do you want to buy Maintenance Spray for Bike Locks online? Hollandbikeshop.com has the Maintenance Spray for Bike Locks you’re looking for. Since bicycle locks have to withstand the elements, they also require maintenance. With a maintenance spray, which also happens to be an excellent bike lock defroster, you can make sure that lock and key always work smoothly and that the bicycle lock doesn't become subject to oxidation. 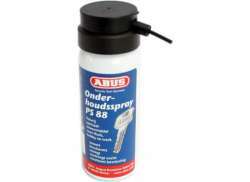 At Hollandbikeshop.com you can find a wide choice of Maintenance Sprays for Bike Locks by brands like ABUS, AXA, Brunox, Cordo and Simson. In our wide Maintenance Spray for Bike Locks range on Hollandbikeshop.com you can find different kinds of lock sprays in various quantities. So you'll surely find the Maintenance Spray for your bicycle lock that you're looking for! 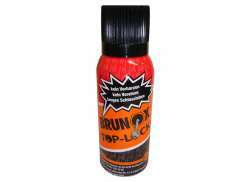 Hollandbikeshop.com is dealer of Maintenance Spray for Bike Locks and has a large and affordable range. 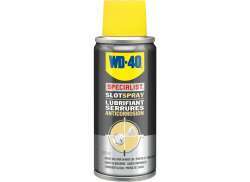 We also often have Maintenance Sprays for Bike Locks on sale or in our outlet, so keep an eye on our sale button. The largest and most affordable online Maintenance Spray for Bike Locks shop!